I'd like to recommend a resource to you and/or your church. 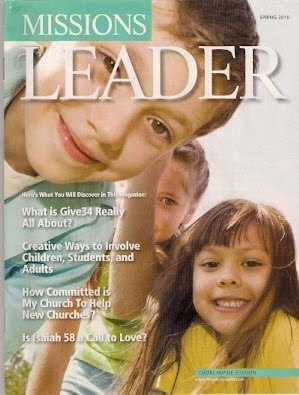 It is Missions Leader® magazine, a publication of the WMU®. It is full of ideas of how to promote missions in your church. You can order it by clicking on this link. No More Worries! I won the lottery! Take the Cell Phone AWAY! Third Temple Construction to begin on March 16?